Happy Pi Day! Yes, today, March 14th, is known around the world as Pi Day, representing the decimal approximation of this fantastic irrational number (3.14). I have shared many fun ideas and activities to do with kids to celebrate this exciting event, but did you know that March 14th is also the birthday of Albert Einstein? As I thought about what to do with my kids for Pi Day this year, I thought we would change things up by celebrating this amazing mathematician and scientist! 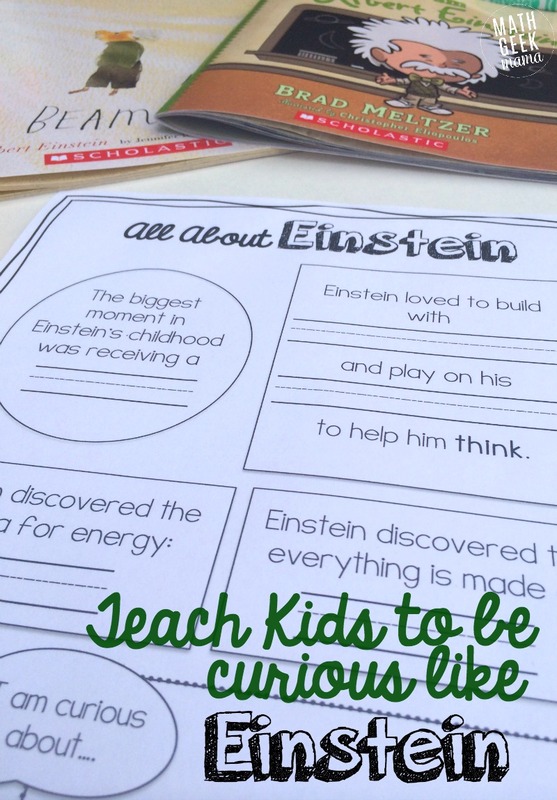 I hope you will join me in my effort to teach kids to be curious like Einstein! 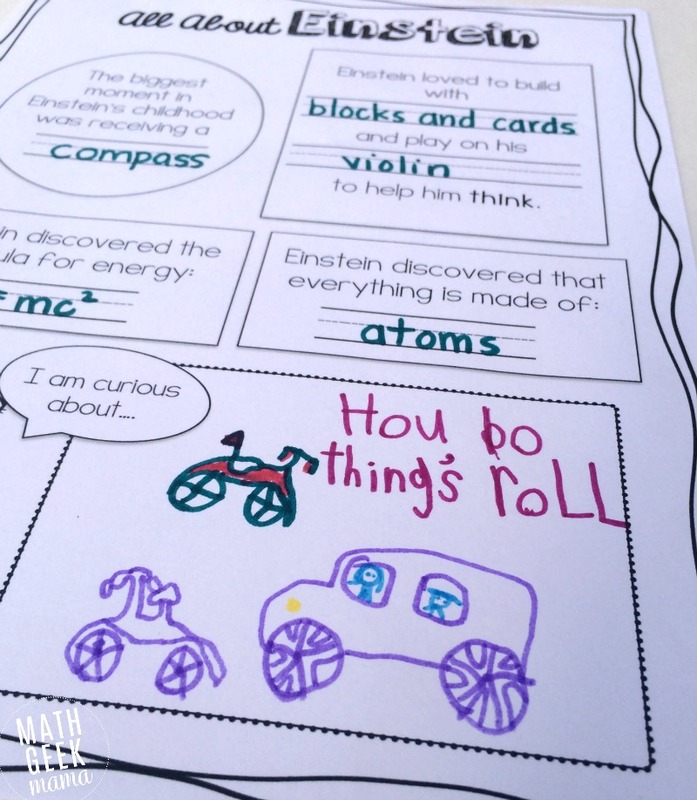 While it may seem like a daunting task to teach small children about Einstein and his accomplishments (How in the world do we explain E=mc2 to a 6 year old?? 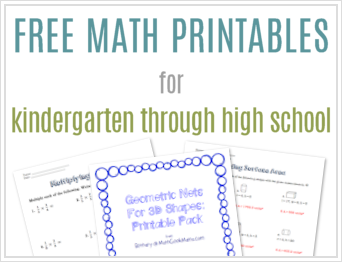 ), there are actually lots of amazing resources out there for kids. 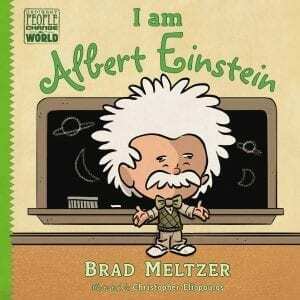 I Am Albert Einstein: Ordinary People Change the World is a cute, kid friendly look at the life of Albert Einstein. It’s cartoon (often comic book like) illustrations make it appealing to kids, and humor is woven throughout, making my kids laugh out loud. 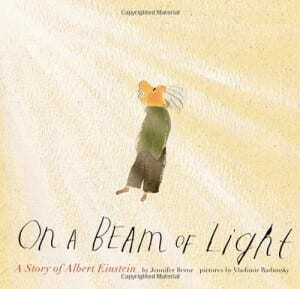 On a Beam of Light is another delightful children’s story telling about the life of Albert Einstein. This book includes some different facts, but is equally engaging for young readers, and the illustrations are beautiful. But what I loved most about each of these books was the emphasis on curiosity and questioning and discovering. Albert Einstein had a childlike curiosity all the days of his life. It’s amazing how curious and creative kids are, isn’t it? Wondering about things and asking questions isn’t necessarily something that needs to be taught, especially when our children are young. But what I hope to see and encourage in my kids is a curiosity and desire to learn and explore that is never outgrown. I want to teach them to be curious like Einstein. Always questioning and searching for answers. Always trying new things or looking for new ideas. To be amazed every day at the wonder of the world around us that God created. After reading these books, I reviewed some of the facts we learned about Einstein’s life with this simple printable page, and you can download a copy as well if you’d like! 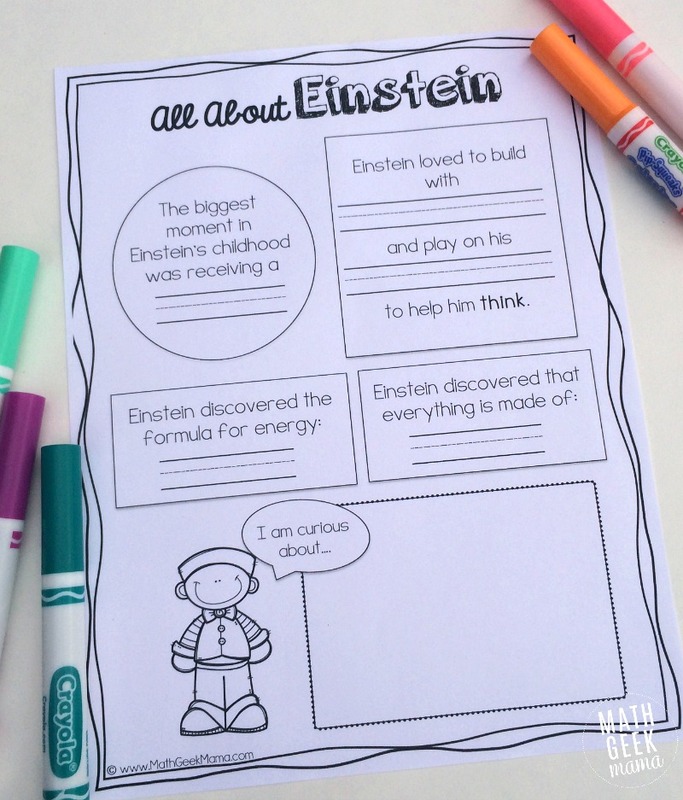 This simple page includes some facts about Einstein, as well as space at the bottom for kids to draw a picture or write about something they are curious to learn more about or a specific question they have. Once you see what kinds of things they’re curious about, help them explore and find answers! 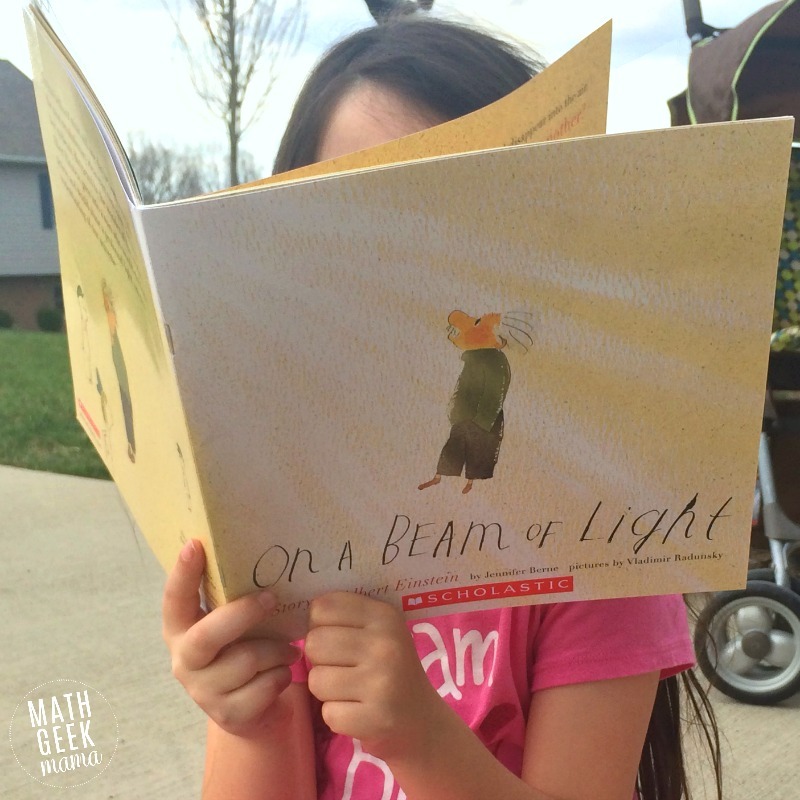 Want more ideas to learn about Albert Einstein or explore like him? Try one of these! Create a tinker space and let kids explore and create! Take the question or topic they are curious about and let them draw a picture of a possible experiment or answer to their question. This was one of Einstein’s favorite things to do, and it was often said that he thought in pictures rather than words. Many of his theories began as visuals and pictures before they became formal mathematical formulas. 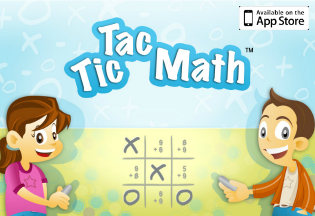 Of course, there are so many other ways to help your kids explore and be creative! 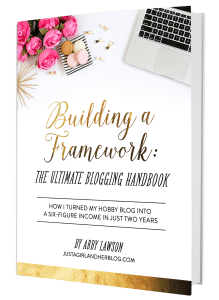 Share some of your favorite ways in the comments! Want more fun facts about Albert Einstein? Read fascinating facts about Einstein and Pi Day!